Apple iPad Wi-Fi + 3G is $130 costlier than regular Wi-Fi only iPad. But if you are having an iPhone as well with you, then you can save extra $130 and access 3G connection on iPad by turning iPhone into a Wi-Fi hotspot. 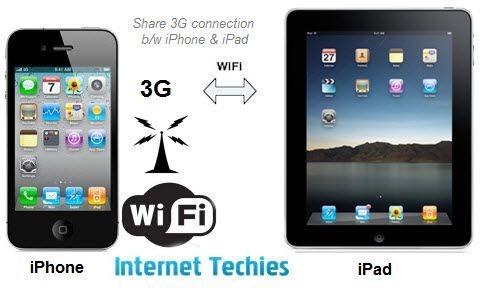 If iPhone is using 3G connection, then you can turn on “WiFi Tethering” on iPhone and share Internet connection on other mobile devices like laptops, iPad, BlackBerry or any other Wi-Fi enabled devices. If you want to turn on “WiFi Tethering” on your iPhone, then here is the tutorial to do the same. [ad id=’7′ style=’float:left;margin:10px 10px 10px 0′]1. 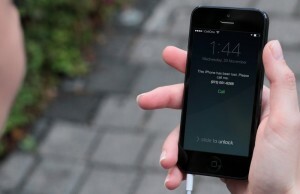 Jailbreak your iPhone. If your iPhone is already jailbroken, then you can skip this step. 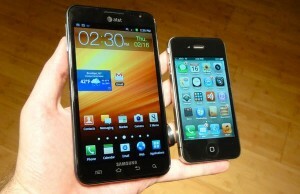 If you want to jailbreak your iPhone, then go ahead and read “how to jailbreak iPhone”. 3. 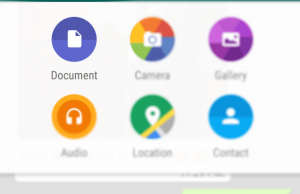 Once installation of MyWi completes, open the app from app menu. 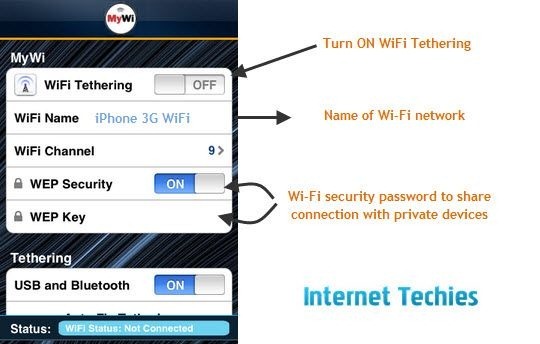 MyWi will ask you to turn on “WiFi Tethering” on the device and would also ask you to enter a name for WiFi Hotspot. You can enter WEP Security key for protection of your shared 3G network. 4. Now turn on your iPad or other mobile device and search for available network. Once you find the iPhone MyWi Wi-Fi network, you can go ahead and select that network. Now you can access Internet using 3G connection on iPhone. We have already shared how to share 3G data card internet on laptop with other mobile devices. But this one really rocks as you can have your iPhone in your pocket and browse Internet on laptop or iPad without any problem. Thru MyWi, you can share 3G connection thru Bluetooth and USB cable as well. This will help you in accessing Internet on desktop as well as Bluetooth only devices thru iPhone 3G connection.